Stuv 16/68 in bespoke granite fireplace wood burning stove installation from Kernow Fires. 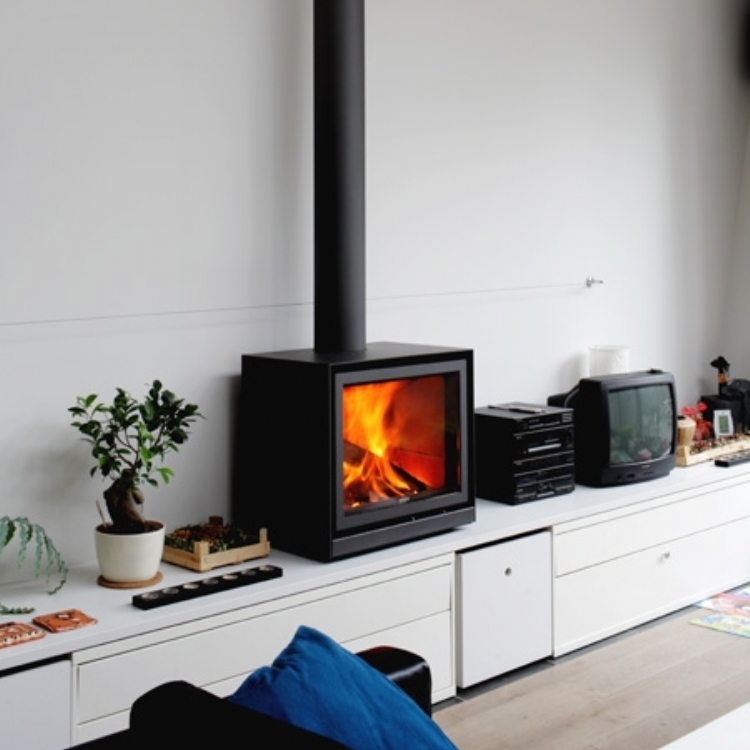 Customer Aspiration: A fire that will be a focal point within this social area with a good heat output to create a tropical feel no matter what the weather outside. 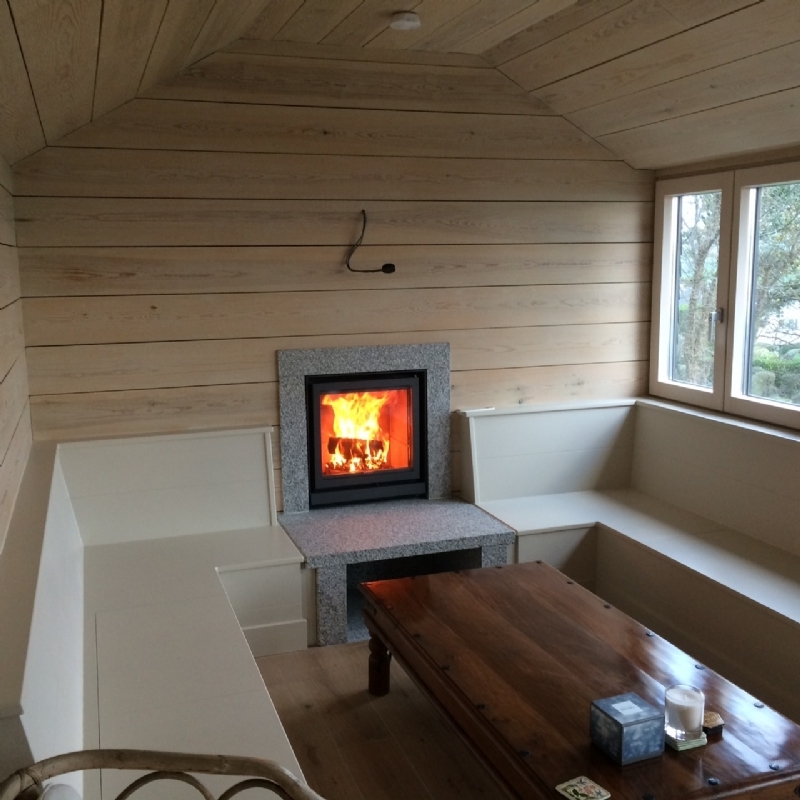 This Stuv 16/68 woodburner set in a bespoke granite fireplace with in built log store was designed to create a lovely warming social area within a Cornish home. The Granite surround follows the theme set by the bespoke fireplace installed in the main living room around a Stuv 21/85 woodburner. 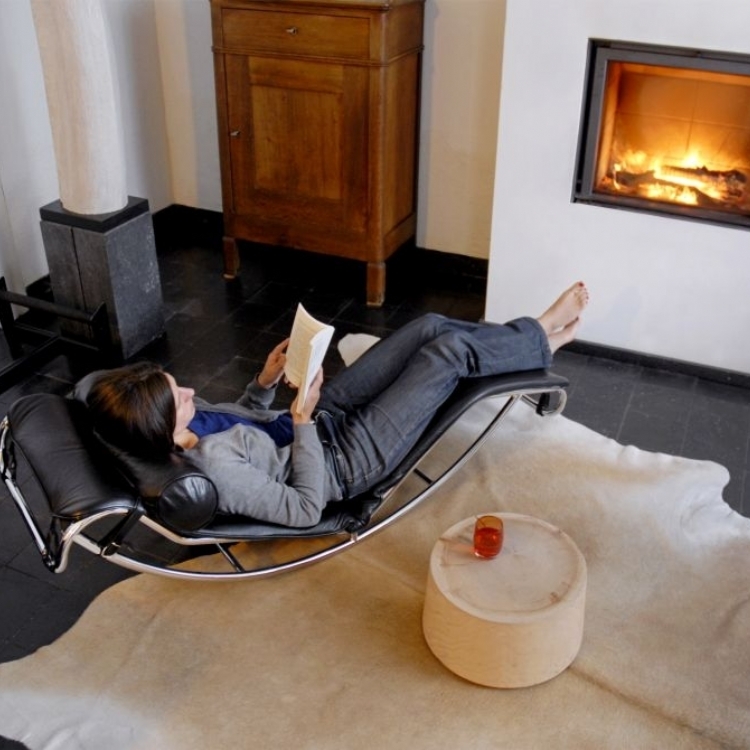 This beautiful fire creates a between 7-9kW of heat. More than enough to keep you warm when its cold outside.